Descriere: If America had a royal family, the Taylor Winthrops would wear the crown. The popular, charismatic Winthrops have captured the imagination of the world with their public service, their enormous charity, and their glamorous lives. But in the period of one year, all five members of the family are killed in a series of accidents. 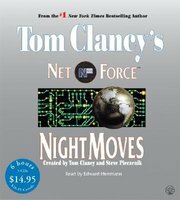 Beautiful young anchor woman Dana Evans begins an investigation and starts unraveling compelling evidence that she can hardly believe.In her determined pursuit of the truth, Dana never anticipated the cat and mouse chase that leads her through half a dozen countries in search of a remorseless killer. As she closes in on her suspect, the shocking secrets she uncovers place Dana and her young son in dire jeopardy. Can Dana outwit her pursuers and expose the truth that will astound the world? 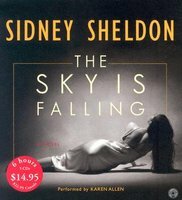 A dynamite thriller filled with all the elements that have made his previous works phenomenal bestsellers, The Sky Is Falling is Sidney Sheldon at his sizzling best. 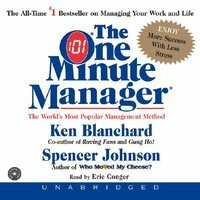 "The One Minute Manager" has been named one of the most influential business audiobooks of the century by "USA Today" and "US News & World Report." Unabridged. 2 CDs. 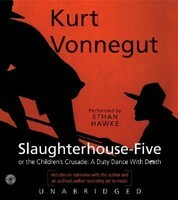 This audiobook includes an interview with Kurt Vonnegut and clips from Vonnegut's 1973 Grammy-nominated Caedmon archive audiobook. Unabridged. 5 CDs.